The Bionic Woman TV show was a 60 minute sci-fi series on ABC for its first two seasons and on NBC for the final season. Jaime Sommers, tennis pro and recently reunited childhood sweetheart of Steve Austin (The Six Million Dollar Man), had a life threatening accident. Steve begged Oscar Goldman (his boss) to give her the bionics she needed in order to live. She got them but had to agree to work for the government in order to justify the cost. Also, Jaime had amnesia and couldn't even remember Steve! She got violent memory flashbacks usually when she saw him which made her body want to reject her bionics. She decided that she needed to get away from past memories and moved in with Steve's mother and stepfather in California. Being an honest woman, she decided that her bionics would make it unfair for her to continue playing professional tennis so she gave that up and became a teacher, and of course, a government agent! Jaime Sommers received her Bionics due to a devastating sky-diving accident. The parts that were repaired were both legs, one arm and one ear. Richard Anderson got to portray the part of Oscar Goldman on two networks at one time! When ABC dropped the Bionic Woman, NBC picked it up and Richard got to be on that series and also still appeared on the Six Million Dollar Man still airing on ABC! 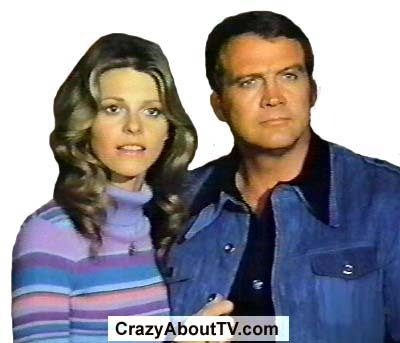 Lindsay Wagner appeared in the Pilot episode of "The Rockford Files" called "Backlash of the Hunter". Fourteen episodes later she appeared on the show again in the episode entitled "Aura Lee, Farewell". Both Jaime and Steve work for the "OSI - Office of Scientific Information". The city that Jaime moves to in the introductory episodes is Ojai, California. She moved there to live with Steve Austin's Mother and Stepfather who were also her legal guardians from age 16 when her parents died in an auto accident. Lee Majors first appearance on the big screen was in the 1964 movie "Strait-Jacket" with Joan Crawford, Diane Baker and Leif Erickson. It must have been a fairly small part, however, as his name doesn't even appear in the credits. The idea for The Bionic Woman TV show started with Frank Price (Head of Universal's TV Division) wanting to make the part of Steve Austin in the Six Million Dollar Man relate better to the average viewer and expand the audience. This resulted in Kenneth Johnson writing a couple of episodes called "The Bionic Woman - Parts 1 & 2) giving Austin a love interest and enabling him to show more of his "human" side. Then after the huge success of those episodes, Fred Silverman (Director of ABC Programming) pushed to "spin-off" the new series. Thank you for visiting our The Bionic Woman TV show page!